If you are looking for a new and innovative way to change up your promotional campaign this holiday, then why not try custom felt decorations. Felt products are great because they are extremely versatile, and a custom felt promo product this Christmas will delight your customers. 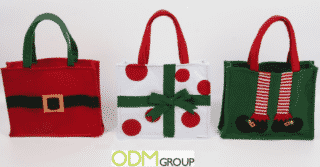 Custom felt gift bags are great gift with purchase, or purchase with purchase promo product which your brand can offer its customers, leading up to the holidays. They are great because the customer can use the custom felt gift bags to package gift for friends and family. Custom felt decorations are also great in the form of wine gift bags. These wine gift bags are extremely necessary around the holidays, especially with all the Christmas dinners and parties around that time of year. They make the perfect promotional item as they can be branded with the company logo, and will make a just the right addition to the festive dinner table. Custom felt placements are another creative way for brands to market themselves. They are a great promotional idea as they give customers a stylish and festive table setting, but they can also be made custom to reflect your brands unique vision. 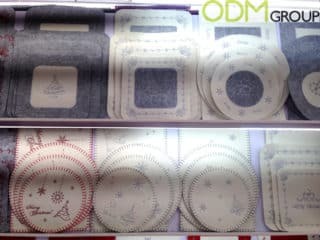 And due the sturdy felt material, they can be reused year after year, increasing your brand exposure. Why we like the custom felt decorations promo idea? Brand visibility. 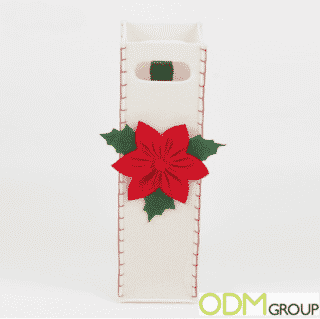 A custom felt product such as a gift bag, which can be branded with the company logo, and is a create way to increase visibility and attract customers to your brand and range of products. It is also a great way to promote any sales or special offers to customers. Memorable. Due to the busy shopping season before the holidays, it is essential to be able to offer something different. 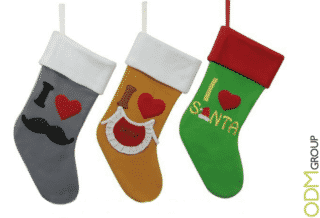 The custom felt decorations can be offered as part of a purchase with purchase promo, which allows the customer to buy everything they would need for their gift giving this Christmas. If you are interested in using a custom felt decoration for your next marketing campaign, do not hesitate to contact us. Here at ODM we have years of experience with sourcing, designing and manufacturing promotional products for companies around the world. Chocolate puzzle, a creative marketing gift for Christmas?